The Personal Touch at The Law Office of Scott Johni, PA - Law Office of Scott Johni, P.A. 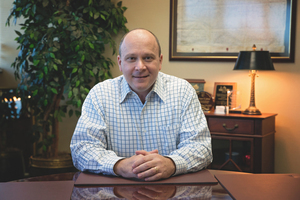 Saint Petersburg Civil Trial Lawyer Scott Johni always knew he wanted to become an attorney, but in 1986 when he was a 19-year-old student attending Eckerd College, a life-changing car crash propelled him on his career path in injury law. The victim of a negligent, uninsured driver, Johni survived a fractured C2 vertebra, considered among the most severe of spinal cord injuries. The injury caused him to experience temporary paralysis necessitating major surgery followed by extensive physical therapy. Click to read the full article in Green Bench Monthly.